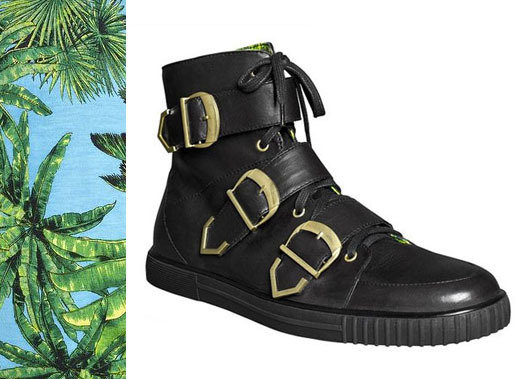 This past fall, fast fashion retailer H&M debuted its collaborative line with Versace. This matchup between giant retailer H&M and the Italian mogul Versace was a big deal and yet I say a genius one! 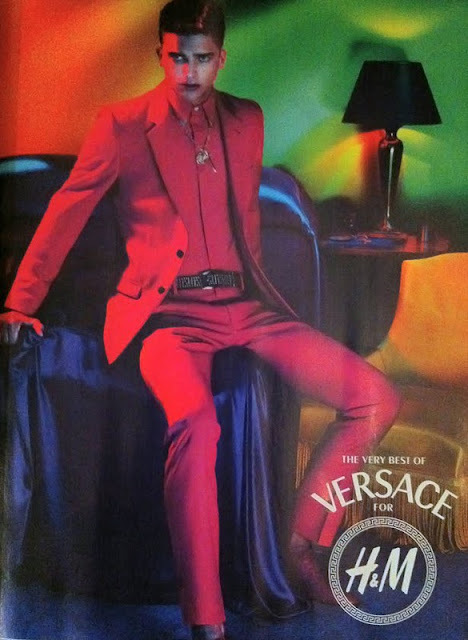 The Versace for H&M Collection debuted on November 19th at stores around the country. Ambitious Versace fans waited outside hundreds of stores-some even camped outside for days in anticipation of the affordable line’s debut. After its fashion show release in NY that debuted the collection, many were able to get a firsthand look at what the hype was all about. 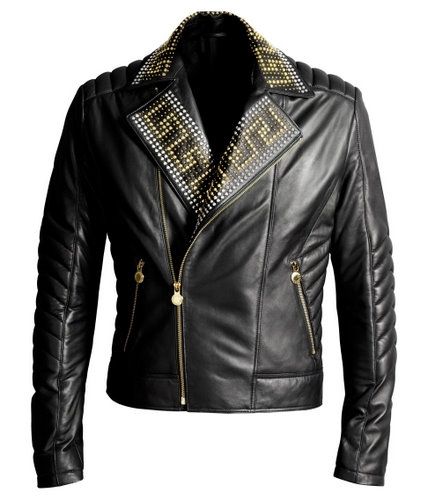 Although some may argue that the featured line is a bit pricey for H&M, others would say the price ranges from $30 graphic tees to $200 blazers is a steal for the Versace. The men’s line featured bold colors, modern cuts, and tropical and animal prints. 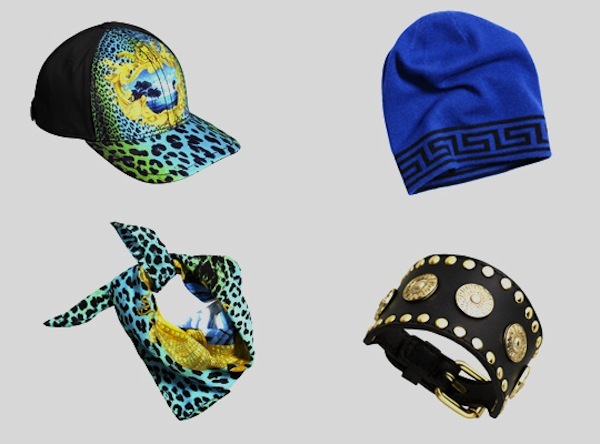 Donatella Versace stayed very true to the essence of Versace’s very flamboyant patterns as she pulled from the house’s archives for inspiration when developing this youthful collection for H&M’s clientele. 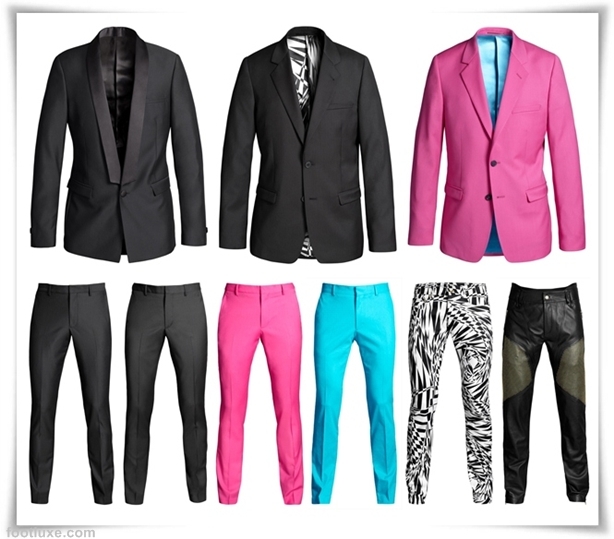 The men’s lineup encompasses jackets, shirts, trousers, undergarments, shoes and accessories. I must say, after viewing the line in its entirety I was extremely impressed. Although the looks are very fashion forward, I believe it covers all the bases for everyday to red carpet. Since its debut, the pieces have struck a craze with male celebs as well. We all watched as Kanye West tore it up with Jay Z at the Victoria Secret fashion show rocking the tropical printed bomber jacket ($129). Chris Brown will be featured in a new music video with Fat Joe wearing the same jacket paired with the line's turquoise trousers. 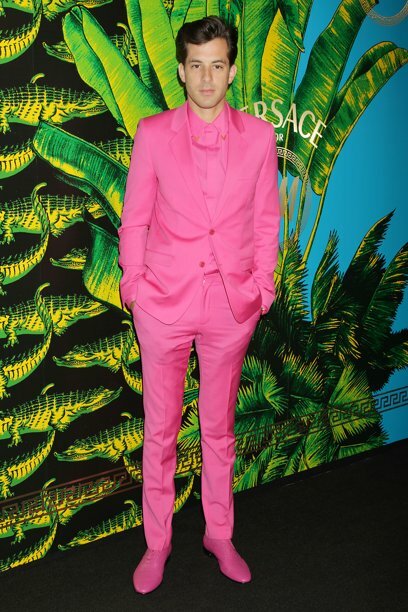 UK producer Mark Ronson wore the entire pink suit (my personal favorite) to the Versace Collection release party. I also noticed that all the backup male dancers who performed alongside powerhouse Jennifer Hudson at the VH1 Divas Soul Tribute wore the pink suit in its entirety with dress shirt, skinny tie and white sneakers. This collection works for so many different type of guys regardless of personal style. How? Ok, say you’re not bold enough to wear the outrageous graphic print jacket like Swizz Beatz photo’d on the red carpet… that’s just not your style. Well any man can appreciate a classic suiting jacket with a great shawl collar especially now that the holiday season is here. Maybe your taste is more urban; you would probably embrace the signature print beanie with the black motto jacket paired with the black leather buckle boot sneakers. From the different cuts to color, there are so many takeaways from this collection to use as inspiration. The possibilities are endless people! Here are a few more pieces from the men’s line. After reading the blog post and looking at the pictures I know everyone just wants to go out and get a piece or two from the line, right? Well unfortunately, the collection has pretty much sold out and stores will not be getting a new shipment in to please the world’s demands. However, there are a few stores that still have a minimal selection of pieces and customer returns (I’ve called around myself to get my hands on some), so if you’re like me and you MUST HAVE have it, I suggest calling friends and family in states that have H&M stores to get pieces for yourself and have them shipped! When mixing various patterns and textures it is very important to make sure the items selected are cohesive. For this look I was going for a preppy theme. Normally for visual purposes I suggest 3 patterns. Photo’d above I selected plaid, pin strip and paisley. 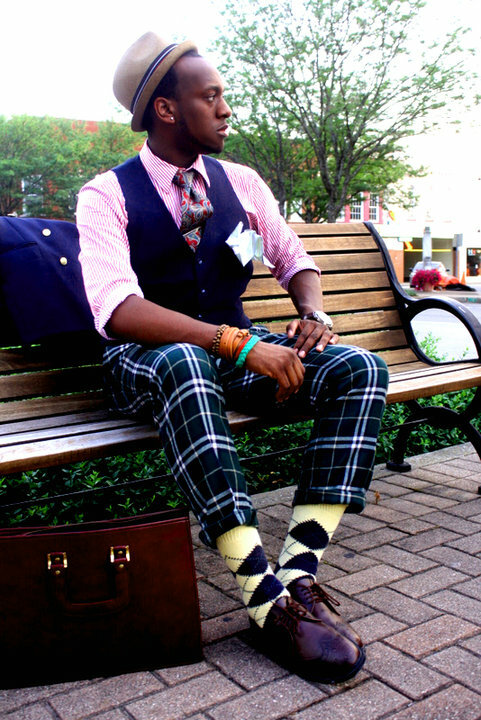 I added argyle in my sock selection just to give an additional element to the ensemble. The focus of this color story was to mimic traditional private school colors (red, green, navy and yellow). When selecting shirt and tie combinations make sure one piece is less dominant. In this case because the red and white strips (less dominant) are smaller and closer together almost giving the allusion of a solid shirt, I was able to add a larger print (dominant) paisley tie that fit within the same colors. To break up the bold plaid pants I added a solid navy vest. For additional styling, I added various accessories that compliant each other. When first starting in mixing patterns you may not want to go this bold, but try the occaional stripped shirt with a poka dot or pasley tie around the same colors and just see if you like the response you get! I mean you only live once, right? As you can see you don’t have to spend a lot of money to be stylish.